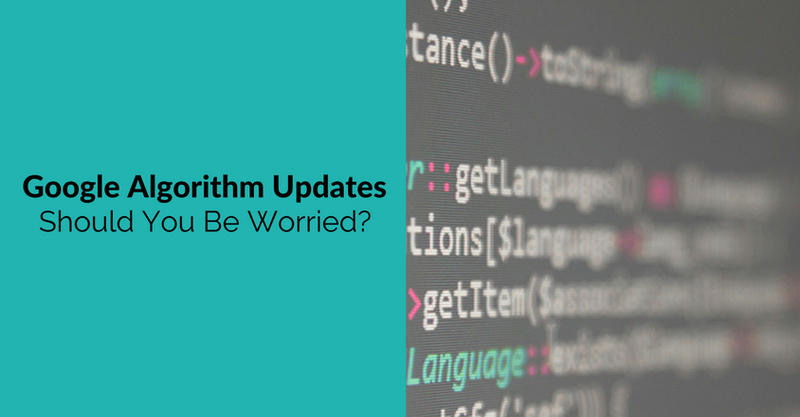 Google Algorithm Updates: Should You Be Worried? The Mopocalypse is here. What does that mean for your marketing strategy? Let’s take a look at Google’s mobile-friendly update and other algorithm changes and see what you need to do next. Google’s been trying to get us to be more mobile-friendly for a couple of years. In the past, the search giant has advised website owners to use responsive design and to have super-fast page loads, ideally under a second. But with more people searching on mobile devices than desktop computers, now Google has implemented the mobile-friendly update. It says mobile users should now “get relevant, high quality search results that are optimized for their devices.” This update affects mobile search for all languages worldwide, making mobile-friendliness an important ranking factor. Google points out that this update is for individual pages. That suggests that if you can’t make your whole site mobile-friendly right away, focusing on your most important and highest-converting pages is a great starting point. Before you can do that, you’ll need to test those pages for mobile friendliness. Google’s provided a mobile-friendly testing tool to help you do that. Type in your URL and you will soon get a result. If the page fails, then there are recommendations for how to fix the page before you re-test. If you want to get an idea of how mobile-friendly your whole site is, then the Page Speed Insights tool, which is also linked within Google Webmaster Tools, will help you identify site-level issues. Note that the tools don’t always return identical results. That’s perhaps because the mobile testing tool operates on a pass/fail mechanism, while Page Speed Insights uses traffic light grading for different issues. This is not the only Google update to affect your SEO strategy, but it’s important because higher search ranking results in more clicks and leads. If people are searching on mobile and your pages don’t show up, your online lead generation could take a hit. Pigeon, which tried to ensure that companies provided useful local search information. Google is constantly updating these, so you can’t afford to ignore them. Make sure your site is mobile-friendly ASAP. Google has an excellent guide which includes help for optimizing WordPress site, mobile SEO and common errors to avoid. As part of this, ensure that your site loads fast and that it’s easy for visitors to find mobile-specific content (no 404s where there should be pages). Check your analytics to identify the best pages to optimize first. Create fresh, well referenced and relevant content that links to and pulls in links from high-quality sites. An important part of your content marketing is to include the kind of content that mobile devices users consume (video is hot) and make it easy to share that content on social media. Create your content for users first, make sure it’s mobile accessible and continue to check your web pages and you won’t need to worry about Google algorithm updates. If you want to stay in the loop about changes that affect your marketing strategy, grab the free Crackerjack Marketing newsletter. Self-confessed word nerd and polymath Sharon Hurley Hall believes she has the perfect job - as a professional writer and blogger. And when she can indulge her geeky side and write about new web tools, it's a little slice of heaven. https://crackerjackmarketing.com/wp-content/uploads/2017/02/CJM-Header-Logo-New.png 0 0 Sharon Hurley Hall https://crackerjackmarketing.com/wp-content/uploads/2017/02/CJM-Header-Logo-New.png Sharon Hurley Hall2015-05-05 06:15:342018-01-29 06:00:25Google Algorithm Updates: Should You Be Worried?